The iPad is for more than just consumption! Let students show what they know by creating animated videos, e-books, and more! The following apps are very easy to use. You must get the paid version of each, however, to have the ability to save to the iPad. 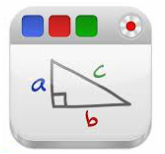 Lets students create and share quick animated Gami videos. If you get the paid version, videos can be up to 90 seconds long. Students can record their voice or type and choose a synthetic voice. These can be saved to the iPad then shared with the teacher via Google Drive or Dropbox. Allows students to create animated cartoons. They can change the background and add in photos to use as the face of their puppets. Videos can be several minutes long. Lets students create their own lip-synced, animated videos. This adorable app allows students to record a video for up to 90 seconds. Students can choose different backgrounds, props, and characters. 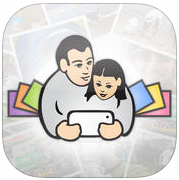 Students can create their own books using photos from the camera roll. Students can add text and record their voices. Books can then be exported as PDFs using Dropbox or printed in several different sizes by using a wireless printer that supports Apple's Airdrop feature. Record your voice and iPad screen to create videos that others can access any time! Easy-to-use design, screencasting, and interactive whiteboard tool that lets you annotate, animate, narrate, import, and export almost any type of file. Great for being able to "turn in" those awesome projects your students created on the iPad! 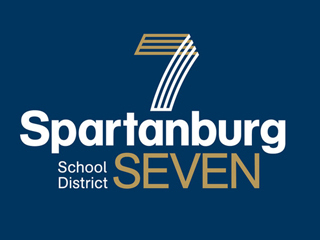 Students cannot use this app yet, but next year, they will have email addresses and 1TB of storage. Allows you to easily get videos, photos, and files off of your iPad. Save or bring in all of your photos, docs, and videos to the iPad. Click below to share any apps you have found useful!